The modern game of football is filled with plays and formations with names like the Counter Trey, the Wildcat, the Zone Blitz and the Cover Two. They have become part of the sport’s vernacular, and yet for many fans they remain just names, often confusing ones. To rectify that, Tim Layden has drilled deep into the core of the game to reveal not only how these chalkboard X’s and O’s really work on the field, but also where they came from and who dreamed them up. These playbook schemes, many of them illuminated by diagrams, bear the insignia of some of the game’s great innovators, men like Vince Lombardi, Don Coryell, Tom Osborne, Bill Walsh, Tony Dungy and Buddy Ryan. But football has also been radically altered by the ingenious work of men with more obscure names, like Tiger Ellison, Emory Bellard and Mouse Davis. In Blood, Sweat and Chalk, Layden takes readers into the meeting rooms-and in some cases the living rooms-where the game’s most significant ideas were hatched. He goes to the coaches and to the players who inspired them, and lets them tell their stories. In candid conversations with some of football’s most intriguing characters, Layden provides a fascinating guide to the game, helping fans to better see the subtleties of America’s favorite sport. The game of football is cyclical. Coaches today are getting too much credit for formations and offenses that were dreamed up years ago. Tim Layden does a wonderful job of tracing the origin of those ideas in Blood, Sweat and Chalk. 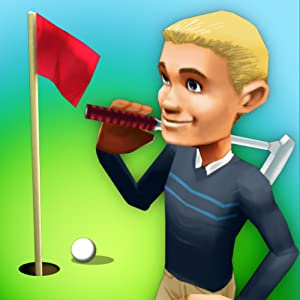 3D Mini Golf Challenge is game for your Kindle Fire. Test your mini-golf skills to see just how many hole-in-ones, birdies, and pars you can get in 3D Mini Golf Challenge for Android. If you like golf, you’ll enjoy this casual sports game with amazing 3D graphics. 3D Mini Golf Challenge features four unlockable courses including Supernova, Transylvania, and Excalibur. Swing your way through a total of 100 unique tracks. Controls are as easy as dragging down from the ball to increase the power and releasing to shoot. Swipe left or right to move the camera and pinch to zoom in and out. Music and sound effects are optional. Gather points to unlock new challenges. Play against a computer opponent in Versus Match, try for a birdie on all tracks in Hole-in-One, and finish all the tracks before time runs out in Time Attack. Win up to seven trophies by completing the challenges. You’ll be in putting heaven with this app. 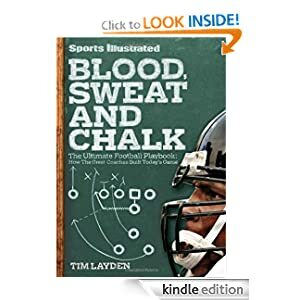 This entry was posted in Kindle Applications, Kindle Apps, Kindle Books, Kindle Daily Deal and tagged 3D Mini Golf Challenge, Sports Illustrated Blood, Sweat and Chalk, Tim Layden by Paul. Bookmark the permalink.